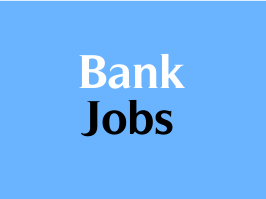 The Catholic Syrian Bank Limited (A private sector bank), Headquarters Thrissur (Kerala) announced vacancy recruitment of Probationary Officers - Marketing for filling up 86 Vacancies for its Kerala Branches. The last date for filling up online applications is 23rd October 2015. Stipend during Probation - ₹ 2.4 lakh per annum; Compensation structure Salary of ₹ 4,38,000 p.a. Place of Posting: Thiruvananthapuram, Kottayam, Ernakulam, Thrissur, Coimbatore, Mumbai. (1) Minimum 50% in 10th and 12th standard. (2) Minimum 60% in Graduation (any discipline). (3) There should be no gap in education (clearance in first attempt). (4) Correspondence course is not allowed. (5) Post Graduates can also apply. The last date for filling up Online Application Forms is 23/10/2015.